Italy's Andrea Dovizioso won the San Marino MotoGP on Sunday for the Ducati rider's third success of the season, holding off world championship leader Marc Marquez who moved closer to a fifth world title by finishing second. The 32-year-old Dovizioso crossed 2.822sec ahead of the Spaniard under the bright sunshine of the Misano track on Italy's Adriatic coast, after the British Grand Prix in Silverstone was cancelled two weeks ago because of torrential rain. Britain's Cal Crutchlow snatched third for Honda after pole-sitter Jorge Lorenzo of Ducati crashed with two laps to go. 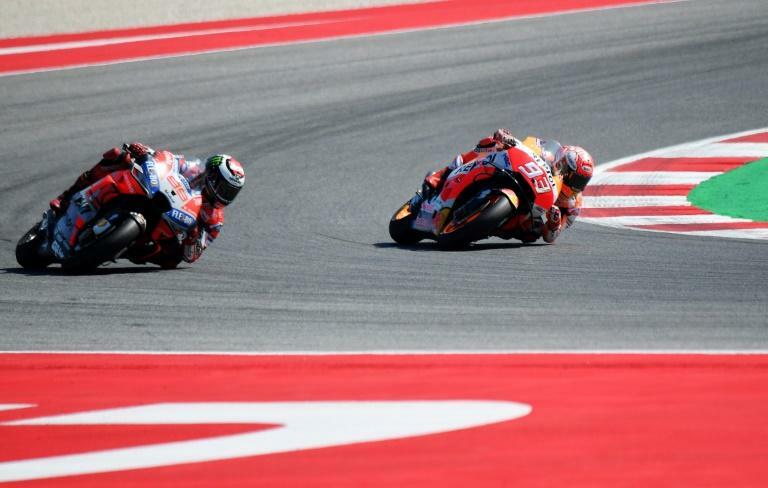 Four-time MotoGP world champion Marquez extended his overall world championship lead to 67 points ahead of Dovizioso, who moved up two places to take second spot from Italian star Valentino Rossi, who finished in seventh place. Rossi drops to third overall -- three points behind Dovizioso, with Lorenzo now in fourth -- with six races left this season. 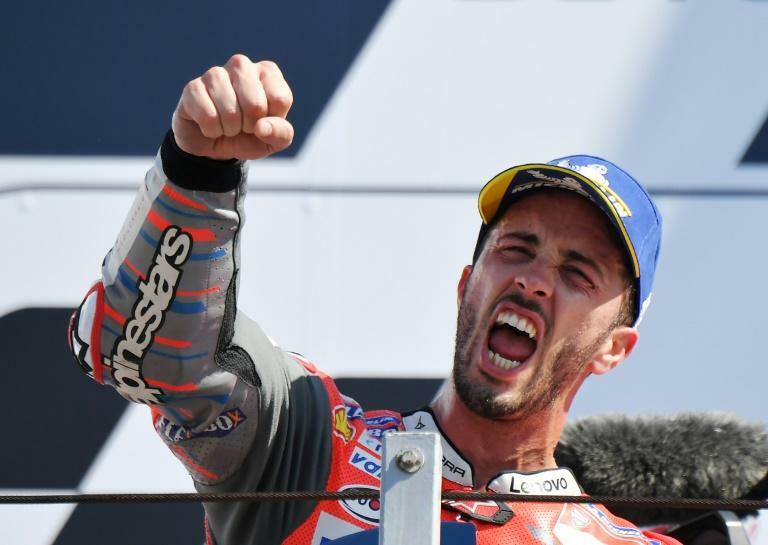 "I'm happy to have beaten Marquez and to win here where I had never managed to before," said Dovizioso, who was born 60 kilometres up the road from the Misano track. "I really enjoyed it today, except when I saw that Jorge was starting to push. I was feeling at one with my Ducati. "Everything worked great, we have nothing new, it's just a mix that improves race performance, a mix of fluidity and explosiveness." Dovizioso -- runner-up last season to Marquez -- set the early pace after starting from the second row on the grid. Lorenzo and Marquez closed the gap until the pole starter fell, leaving the way open for Dovizioso to follow on from his wins in the season-opening race in Qatar and the Czech MotoGP last month. "We've done good work towards the title," said Marquez. "It was a very difficult race... I struggled to stay with them (Ducatis)." Jack Miller had started on the front row but crashed out with Spaniard Maverick Vinales, also on the front row, dropping to fifth, leaving Yamaha without a win for 22 races. "I was lucky enough to be third thanks to Lorenzo's fall," said Crutchlow, who moves up two spots to sixth in the overall standings. "We'll have to roll up our sleeves to try to improve," said 39-year-old Rossi. "It's not easy, the level is high, Honda and Ducati have taken an important step." It was an Italian sweep of all three races with Lorenzo Dalla Porta of Honda winning the Moto3 category and Francesco Bagnaia of Kalex the Moto2. Bagnaia extended his overall lead over Portugal's Miguel Oliveira of KTM to eight points. But the Moto2 race was overshadowed by Italian Romano Fenati's disqualification and two-race ban for grabbing rival Stefano Manzi's brake during the highspeed race. Fenati's actions followed Manzi's attempt to overtake his compatriot a few laps earlier. The pair had made contact as Manzi overtook on the inside, with both riders running off the track, dropping out of the points. Fenati -- a Moto2 rookie this year aboard a Marinelli Snipers-run Kalex bike -- was black-flagged and disqualified after 23 laps for "irresponsible riding". The FIM MotoGP stewards panel later announced that Fenati would miss the next two races in Aragon, Spain on September 23 and Thailand on October 7. "Riders must ride in a responsible manner which does not cause danger to other competitors or participants, either on the track or in the pit lane," the FIM said in a statement. In Moto3, Spaniard Jorge Martin of Honda took the overall world championship lead after finishing second when Italian rival Marco Bezzecchi fell two laps from the line.